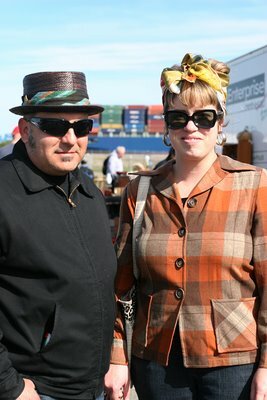 Johnny: "1950s car culture style." Vanessa: "Mostly the 40s and 50s and old Hollywood, usually." 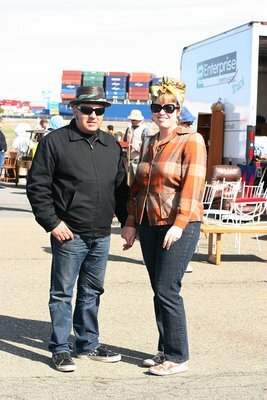 1950s style in 2008, perfect casual chic for flea market browsing. A look at their decidedly modern shoes. Wow. This look doesn't even look forced.